Dentro de Shinsegae y afuera de Shisegae la tarjeta Shinsegae Citicard tiene gran beneficios. Inside and outside of Shinsegae, the Shinsegae Citicard has great benefits. 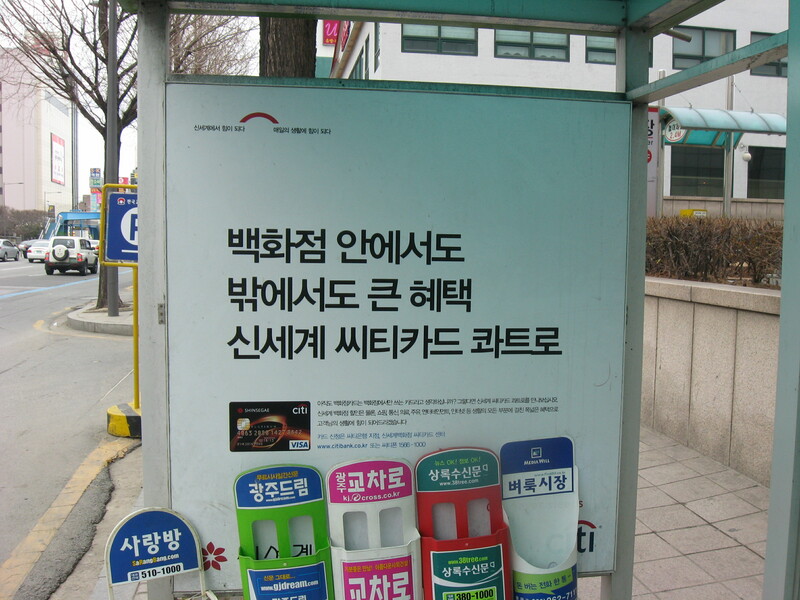 This entry was posted on febrero 15, 2010 at 7:57 am and is filed under aprende coreano, Korean language, Una palabra por día. You can follow any responses to this entry through the RSS 2.0 feed. You can leave a response, or trackback from your own site.